At ¥17.8 million it wasn’t a house we could afford, but we’d been to the city of Shiroi in Chiba Prefecture a number of times–it’s only a few stations from our own–and found its surburban ambience more appealing than most; and the photographs posted on the realtor’s website made it look attractive, at least from the outside: lots of green and the property adjoined a wide promenade on its eastern side. The fact that there were no photos of the interior of the house should have told us something. We got lost on the way and called the agent by phone. He picked us up not far from the property and seemed genuinely shocked that we would actually walk the 17 minutes from the station. The shock was compounded when we told him we didn’t own a car. Even more garrulous than the usual salesmen he was open to our questions, even as they became bitter after we discovered just what a dump the place was. Built in the early 90s, the house looked as if it had never been taken care of at all. The laminate floors were dull and scuffed, the wallpaper brown with mildew. The layout wasn’t bad. All the rooms opened up on one another in a way that was well-thought out and provided a lot of light; or, at least, as much light as could be expected given that there was little space between neighboring houses to the south and the north. The kitchen was the best part. It was large and featured a corner counter with an accompanying corner window. 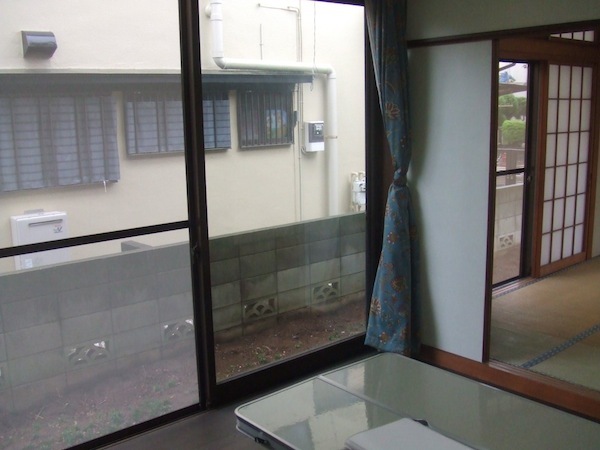 Unfortunately, the view from the window was dominated by the neighbor’s ugly makeshift backyard shed, one of the most common blights of suburban living in Japan. The promenade that made an impression in the photos wasn’t quite as wide as we thought, but at least it afforded space to the east. Nevertheless, the kitchen would need to be completely redone. There was also a “workshop” in back of the kitchen that was filled with garbage. The second floor had two large rooms and even more light. We asked if the owner would be willing to tear down the aluminum balcony on the southern side of one room. The agent looked surprised. Why would we want to do that? Because it was ugly and unnecessary, we said, and explained our enmity toward balconies/verandas in general, which were mostly provided for laundry and had little utility in terms of anything else. He listened and nodded along, learning something we hoped, but, of course, balconies would continue to prevail. We were pretty frank about how bad the place was, and he understood and told us that he’d shepherded 15 potential buyers through this house in the previous four months. We thought that sounded like a lot and he told us that his company was the exclusive agent for this property. It still sounded like a lot, but nobody expressed interest. Maybe they had also been intrigued by the photos on the website, and he said proudly that he had taken them. We congratulated him on their effectiveness and he seemed pleased, though we were actually being a bit sarcastic. We felt as if we’d been fooled into coming here. Agents would do themselves a big favor if they were more honest about the places they were representing since it would not only save them time, but instill trust in people who were looking. But it was difficult not to like this particular agent. When we also mentioned we hated pebbled glass, he explained the legal proscriptions against transparent glass. In the past, whenever we had brought up the topic, salesmen had mostly sloughed off our concern by saying it couldn’t be helped, that for the sake of “etiquette” pebbled or clouded glass was standard because Japanese houses were positioned so close to one another. It made no difference that in Europe and American cities people who lived in such close proximity to one another usually just put curtains up when they wanted privacy. But this guy was the first one to tell us that, in fact, according to “building regulations” if the space between one house and the next was less than one meter, by law the windows on that side had to be pebbled or clouded. In most cases, however, you could see that there was much more than a meter separating houses but still people installed translucent windows. In any case, we mentioned that the price seemed way too expensive and he said that, actually, the price reflected only the value of the land. 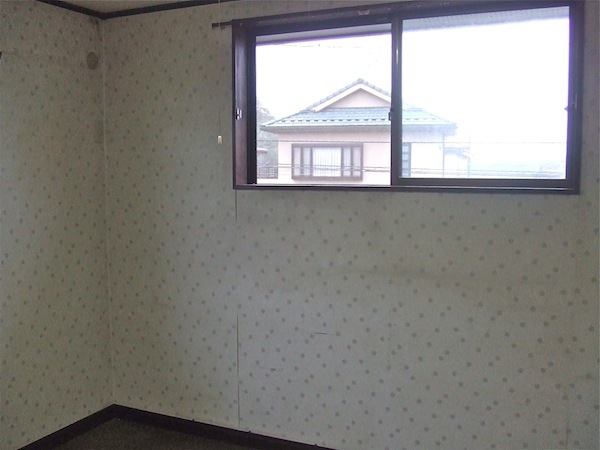 Now it was our turn to be shocked: ¥17.8 million for less than 170 square meters? Yes. Shiroi was very popular, he said, though we couldn’t imagine this particular plot of land justifying that price. He admitted that, in the end, they would probably just tear the house down, but that would cost money, so he was hoping somebody might want the house, too. Maybe he was being a little too frank. He was definitely being too unrealistic. Who usually does the photos in your posts, you or the agency? We do, but the top one on this post is the one the agency uses for this particular house. Your blog is very informative and helpful… I am in the market for an inexpensive house in a less-dense area solely because my cat has outgrown my hi-rise condo in Tokyo and needs to go outside. Thank you for your work — I will keep reading your posts. Okay, knowing that the estate agent was responsible for the photo perhaps explains the lack of the ubiquitous suburban power lines? I worked on a development in Shizuoka owned by Canon and though it was a greenfield development they inexplicably put all the power lines above ground. You’d never know that, though, from the sales advertizements – all were edit from the brochure. The photo taken by the realtor is of the back of the house. In the front of the house are the usual suburban power lines. The back of the house is more attractive because it adjoins a pleasant promenade unblemished by utility poles, which is another reason we were fooled. I think this is complete nonsense. When selling building material in Japan back in the ’90s, I remember encountering municipalities (there was no uniformity for this) that required hideously expensive and very heavy wire glass for “earthquake and fire” purposes (why not just use tempered glass then?). 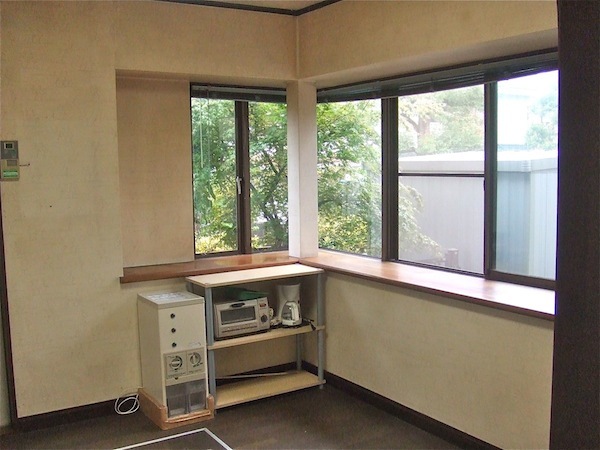 Obscure glass is not required so much as desired by most Japanese for reasons of privacy – you don’t have to close the blinds or curtains and lose the light. The problem with this, of course, is that Japanese builders all use probably the ugliest option available, as it is also the cheapest. I’ve never seen a Japanese house, for example, that featured narrow reed or, even more innovative, light weight glass block, and only “custom” houses sometime use shoji-style screening for windows. I love the translucent glass designs in the windows of old shitamachi houses. They solve the privacy problem in a more artistic way. Is anyone in Japan still making that kind of glass? Thank you for the interestng blogs cat forehead. One of the reasons I stopped buying properties on the conventional market was because of agents, their fees and nothing in return. I began investigating and buying foreclosures and never looked back! Infact i started a company called SleepWell Homes that specialises in Japanese foreclosures for foreigners. Foreclosures will get you into a property for upto 40% cheaper than purchasing conventionally not to mention the fees you avoid. The only time i use agents these days is to sell or advertise a rental property for the exposure the property can get. Actually, catforehead, i havent been able to find an article about foreclosures here. I wonder if you would be interested in writing a few? There is plenty of data on my website and/ or we can get together to discuss different angles. 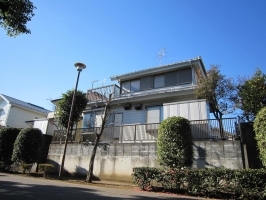 For example, financing possibilities, statistics (7.1 properties a day being foreclosed in Tokyo 23Ku at the moment), prices, anti-social encounters, property quality, investor yields, etc. I would love to get together with you to swap ideas. There is even a Foreclosure Savings Calculator on my website which will tell you how much you’ll save by buying a foreclosure depending on the Ku you would like to buy.